Suitable for smartphones(e.g. Samsung Galaxy S II/HTC Sensation.)tablet-PC. 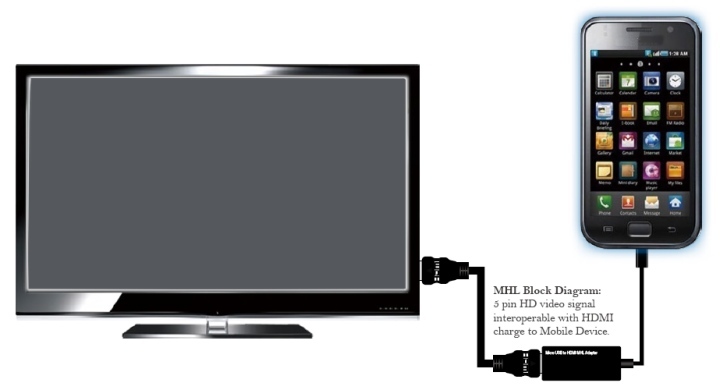 Connector: MHL male = HDMI-A 19 pin female + USB micro-B female. Supports a resolution of up to 1080p. Transfer of digital audio signals and video signals in HD quality. Voltage: 5V via USB micro-B female port. One cable, 5pin connection optimized for Mobile device. 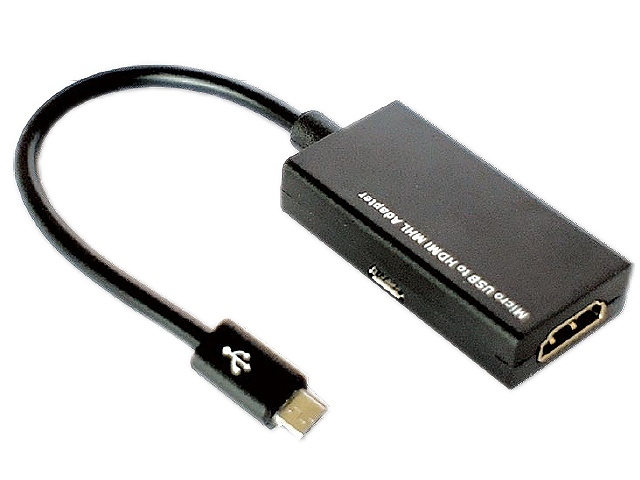 Can share the same Micro-USB connector with USB signals.